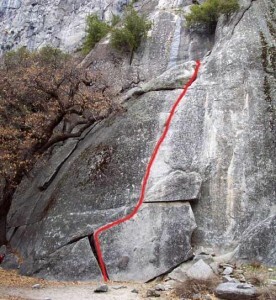 This is a great first 5.9 crack lead or toprope. Do a few laps to build finger crack technique. Set the toprope by climbing the 5.5 chimney or Oak Tree Flake. Which SuperTopo guidebooks include a topo for Grant's Crack?